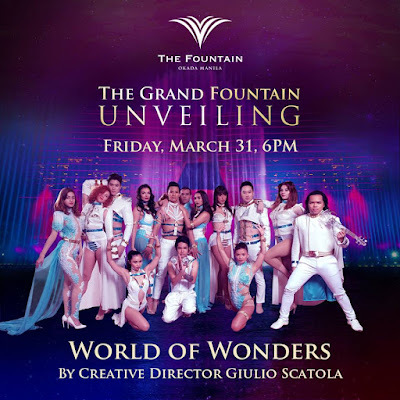 Dubbed as Manila’s biggest and most lavish integrated resort development, Okada Manila is set to unveil the world’s largest multicolor dancing water fountain, plus many of its key amenities and facilities on March 31 with live musical performances. 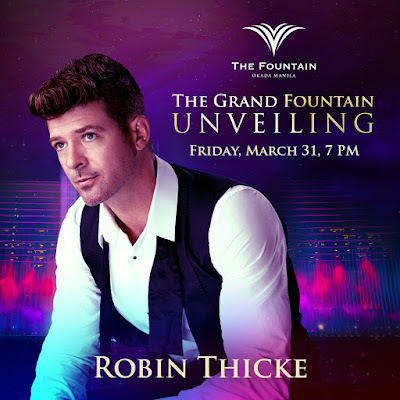 When I first heard of Okada Manila last year, it got me very curious and excited 'coz it will feature luxurious rooms and suites: each with its own Jacuzzi, an indoor beach club with white sand, and a dazzling water fountain show at the heart of the 44-hectare resort. Impressive, right? I am looking forward to its opening so I can bring my family there. 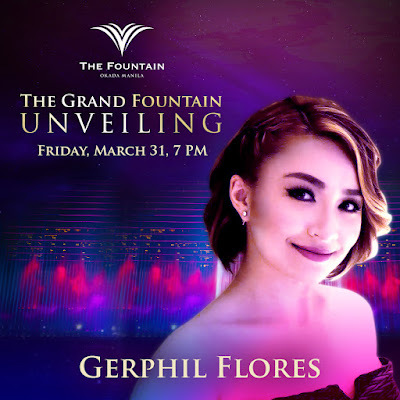 Come Friday evening, March 31, Okada Manila invites everyone to the official debut of THE FOUNTAIN -- a spectacular musical water fountain show with multicolor lights, enhanced with highly immersive projection mapping onto the glass surface of the 800-meter long crystal corridor which will create a whimsical augmented and interactive reality. I showed this video to my kids and they are already bugging me to go! Okada Manila's lavishly furnished Deluxe Rooms with designer amenities will have spectacular views of either Manila Bay or The Fountain, and an advanced in-room technology such as DigiValet Service, an iPad that controls amenities in the guest room and even communicates to people outside including the hotel’s restaurants and concierge. Stay at a DELUXE ROOM for an introductory rate of only PHP 8,888 NET for stays from March 31 to April 30 (except Easter holidays)! Book via www.okadamanila.com until March 31 to avail of this special rate. I already made reservations for an overnight accommodation next month and we're all super excited! I'm hoping the pool and beach club will be open by then. So, I suggest you take advantage of this special offer and book now! Okada Manila is touted to be Manila's grand icon and a world-class tourist destination in Entertainment City. I can't wait for our staycation! 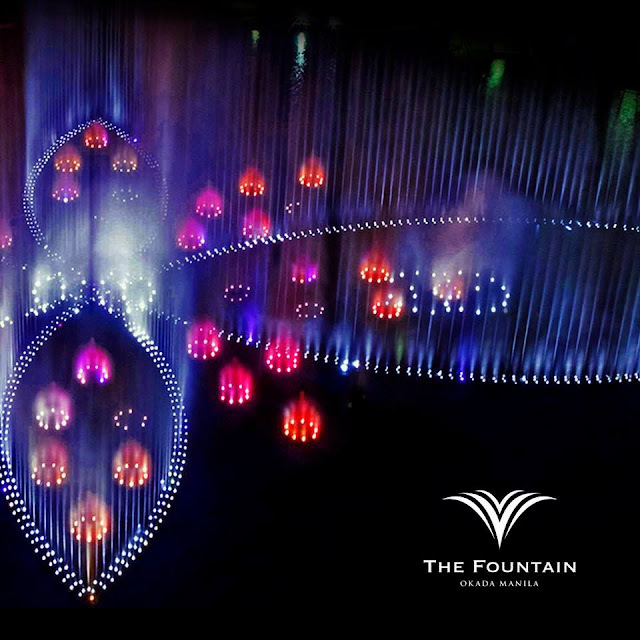 Get a glimpse of this gem and catch the unveiling of the iconic dancing fountain show, a first of its kind in Manila. Buy your tickets now! 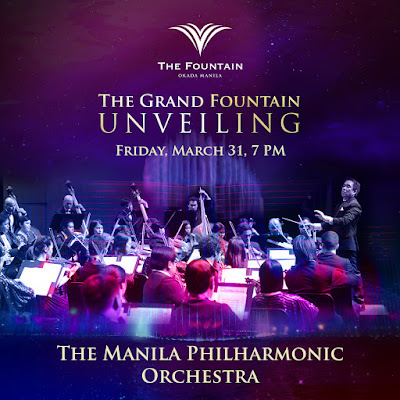 More info and ticket bookings here: www.okadamanila.com/events/fountain-unveiling.